Whitney Sawmills produces fresh sawn timber products from native and European Green Oak and Green Douglas Fir sourced from well-managed woodlands in the UK and abroad. 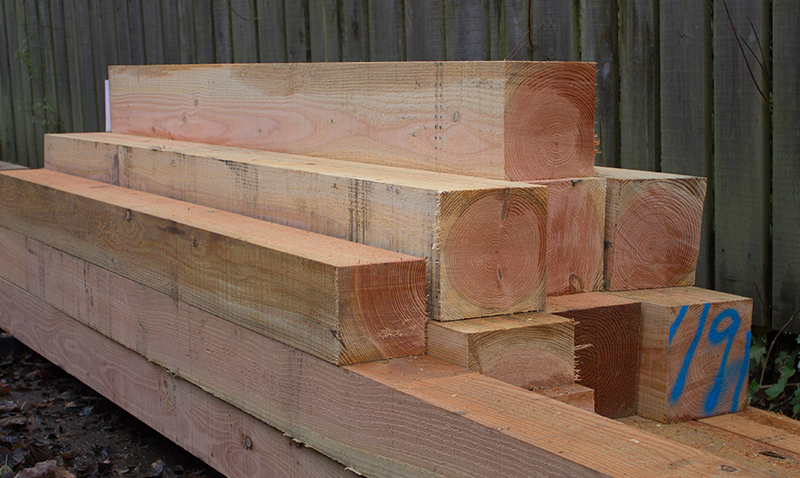 Contact us about your fresh sawn timber requirements, as we can source and cut both standard and bespoke products. 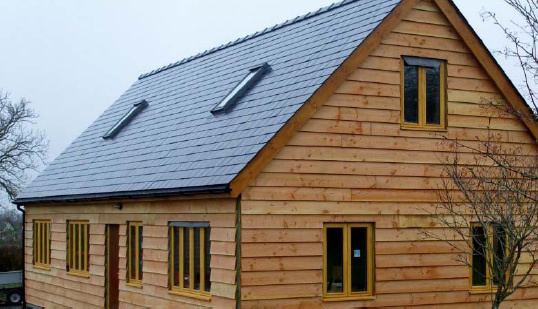 We have decades of experience of working with timber framers, builders and architects. All our fresh sawn Green Oak is sawn on site allowing a rapid response to orders for structural timber and personal attention to details. Plus we keep a large stock of UK and European-grown logs for this purpose. 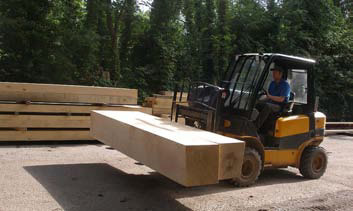 As we mill all orders on site, we are able to select logs for cutting jowl posts, cruck blades and other individual requirements, or produce beams of any cross section. For any further help or advice, please contact us or call 01497 831565 in to discuss your particular green oak requirements - we'll be happy to help! As an alternative to Oak, we also cut fresh sawn timber from certain softwoods, principally Douglas Fir and Larch - mainly sourced from British woodlands. A native Douglas Fir can have a diameter of up to 1 metre and grows to a height of 40 metres. Douglas Fir is widely recognised for its superior strength to weight ratio with it having the highest strength rating of any softwood. These properties are very similar to Oak but Douglas Fir is 30% lighter in weight making fresh sawn Douglas Fir an excellent alternative. 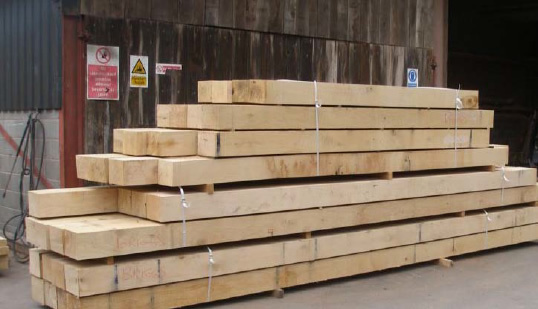 Whitney Sawmills specialises in the supply of large section British Douglas fir. Logs are generally cross-cut to 12-metre lengths for transporting to the yard and Whitney Sawmills can produce beams of up to 9.5 metres in length. 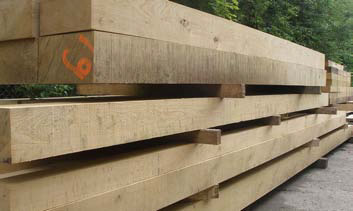 View our range of green Oak and Douglas Fir beams for exterior use. View our range of fresh sawn timber cladding for exterior use. Green Douglas Fir and green Oak products available. Whitney Sawmills supplied the Green Oak beams that were used in the assembly of this educational project at Dumfries House in Suffolk.